Catan Tournament - Palm Beach Road. There's more to Catan than just getting 10 victory points,participate in our monthly tournament and show us your Catan prowess. (Children below 21 years are allowed to play if accompanied by a parent/guardian). 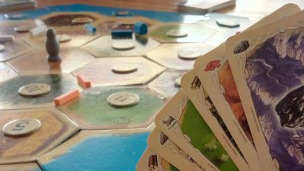 Share "Catan Tournament - Palm Beach Road."